Light, packable and breathable mountain shell utilising GORE-TEX® 30 Denier fabric with GORE® C-KNIT™ Backer Technology. 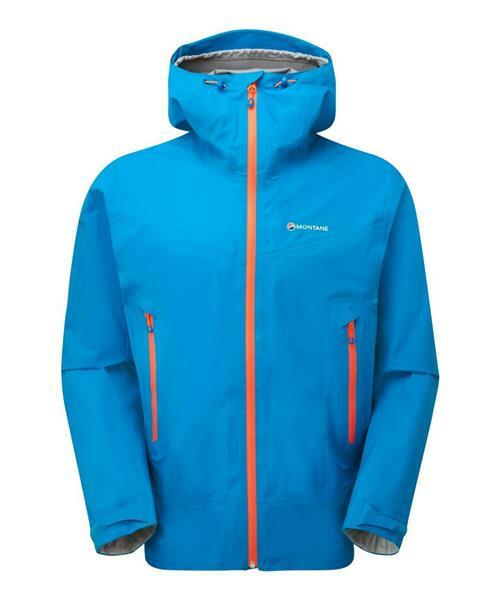 Featured with versatility in mind, the Surge Jacket offers weather protection for mountain walkers and backpackers. Surge Jacket Gore-Tex - Mens is rated 5.0 out of 5 by 2. Rated 5 out of 5 by Karsten from Killer performance without sacrificing weight. I'm notorious for being picky and critical of my outdoor gear, but this one certainly cut the mustard and then some. Light weight minimalism combines with great design to make this a favourite. On a recent foray into a storm warning, with constant rain and warm temps, this piece kept me dry, while regulating body heat wonderfully without the bulk of pit-zips. The fabric is light and supple and not as 'crunchy' as Pro-Shell, and the colour schemes are fantastic. A happy addition to the gear closet. Rated 5 out of 5 by MikBro from Great jacket! Does everything it's supposed to. Have had it out in a couple of wet days and it kept me dry.